If you’re like most homeowners you likely suffer the same fate when winter rolls around: higher energy bills. It doesn’t matter if you heat your home with electricity, natural gas or some other energy source; prices continue to rise and that means increased heating costs. In today’s blog post we’ll share three easy ways that you can save money on your home energy costs this winter. Now that Nest and other companies have brought Wi-Fi enabled, programmable thermostats on the market there’s very few excuses to avoid using them. 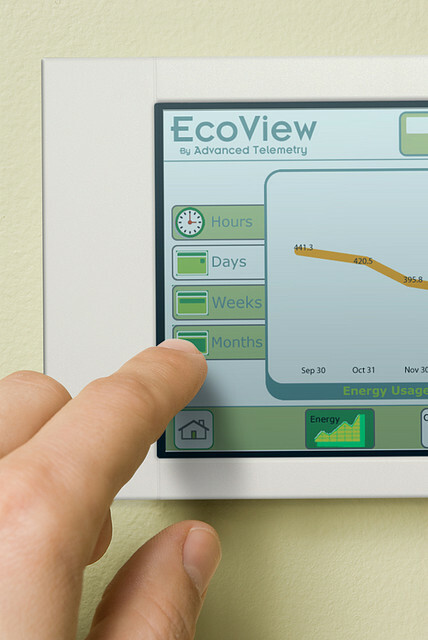 At bare minimum you’ll want a digital thermostat that can be programmed to turn on and off at certain hours of the day. For example, you can shut your heat off after leaving for work and have it turn back on again a half-hour or so before you get home. You can do the same at night when you’re fast asleep under warm blankets. If possible, try to get a thermostat for each room so that rooms can be heated individually as needed. If you have ceiling fans you may not know that by reversing their direction you can keep your rooms feeling much warmer. In the winter you’ll want your fans spinning in a clockwise direction, which will push warm air downward into the room where you’ll be able to feel it. In the summer you’ll want to switch the fans back to counter-clockwise as this will help move warm air towards the ceiling. Finally, you’ll want to check that your home heating system is operating at peak efficiency. If you can access your attic, check to ensure that your insulation is tightly packed and that it’s still in good condition. Clean or replace the air filter on your furnace, and check your ducts for any leaks that need to be repaired. If it has been a few years, consider having a professional furnace and duct cleaning to get all of the dust and debris out of the ductwork. For more helpful tips and info about the Purchase or Sale of your South Barrington, Barrington Real Estate, Schaumburg Homes, Streamwood, and Roselle Property, Contact “Stevie D.” at anytime ... Direct # (630) 479-9479.